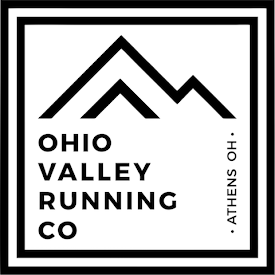 For now, I am using my blog to disseminate information on the formation of a new trail running club in Southeastern Ohio. Sometime in the future, the organization will be looking to develop a website. Your ideas are what will make the club – since this is the first meeting, the direction and shape of this club will be influenced by you. The meeting will last about one hour, but please stay and join us for a group trail run after. From the Community Center, there is easy access to Sells Park and a wealth of singletrack trails that leads to Strouds Run State Park. If you have any questions, don’t hesitate to contact me at owenw@mymail.shawnee.edu or via Facebook. Looking forward to seeing you there! A couple days ago I registered for The North Face Endurance Challenge, California-Championship 50 mile race. I'm stoked to have the opportunity to participate in this race again; in 2010 this served as my ultra running debut. The race that year was considered one of the most competitive ultras to date. Since then, of course, the ultra world has seen an emergence in prize money, elite athletes, sponsors, and internationalism - it seems like every big race is being dubbed "the most competitive." With the race organizers deciding recently to open elite registration and the same $15,000 prize purse per gender being offered, this years version of TNF is sure to be just as exciting as past years. Without a doubt, my experience at the TNF EC in 2010 was very pleasurable and since then, I've been wanting to go back. One moment I remember vividly in 2010 was coming over a ridge on the Coastal Trail still early in the morning and looking out over a foggy Pacific Ocean and seeing a light on the water illuminating a sailboat. These moments are what captures the imagination of my soul while trail running. I'll be looking forward to similar experiences on December 7th.